There are 8 spaces reserved, 4 are still available. 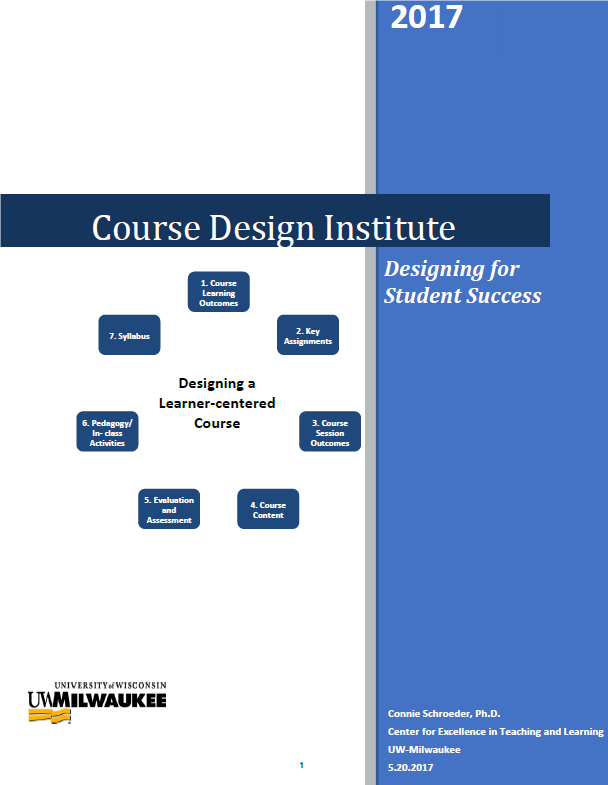 In Part II, Course Design Institute, you will create or significantly revise a course. If your course needs minor tweaking or an extreme makeover, or if you want to create a new course from scratch, you will move through the seven step course design process step by step. Through interactive exercises with colleagues, we will apply the design steps during the workshop. Part II will help you develop grading schemes, craft assignment criteria and rubrics, and embed low stakes assessments that help you determine earlier if your students “get it.” We will explore active learning strategies from simple pair-share exercises to complex activities that encourage student responsibility and accountability. Finally, translate your course design into an evocative syllabus. Participants will receive the Course Design Booklet with examples of each course component and templates to complete all seven steps. For any course level, size, and format, you can intentionally advance the level of student learning and engagement that you have in mind by confidently designing and aligning each course component with your intended outcomes. All participants can choose to pursue the Course Design Certificate.